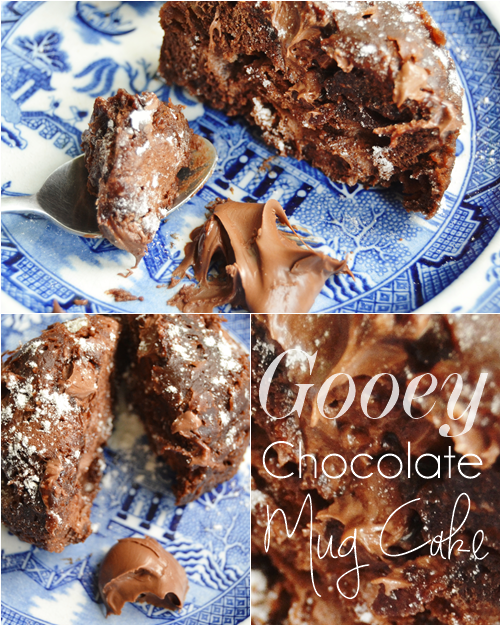 Another gooey chocolate-y recipe for you today! Perfect for them late night sugar cravings or if you want to whip up something yummy in 5 minutes. Yes, this literally takes minutes to prepare and 2 minutes in the microwave! 1. 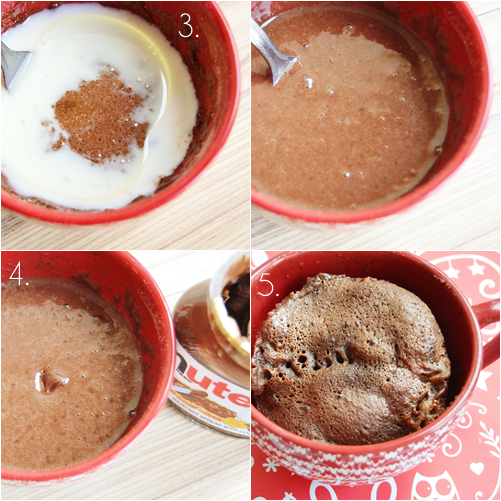 First add all the dry ingredients to your mug (flour, sugar, cocoa powder) and mix together well with a fork. 2. 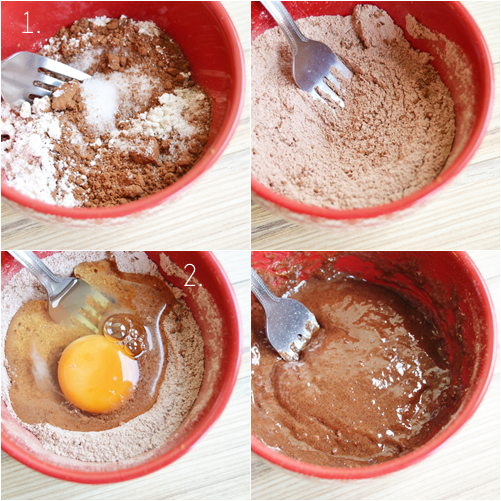 Next crack in your egg and again mix together well until combined. 3. Add all the remaining wet ingredients to the mug (oil, milk and vanilla extract) and mix together until you have a smooth batter. 4. Last step to turn it into a gooey chocolate cake! Drop in a dollop of your chosen spread to the centre of the batter; here I went for Nutella. You could also add lots of small blobs instead so not only the centre is gooey. 5. Finally place the mug in your microwave on a plate and cook for 1:30 - 2 minutes on the highest heat setting (750-800 watt). Once done leave to cool for a few minutes and then eat straight from the mug or turn out onto a plate and eat with an extra dollop of Nutella or Ice-cream! As you can see this is beyond easy and also can be adapted - think choc chips sprinkled in, mini marshmallows or even a white chocolate spread in the centre. 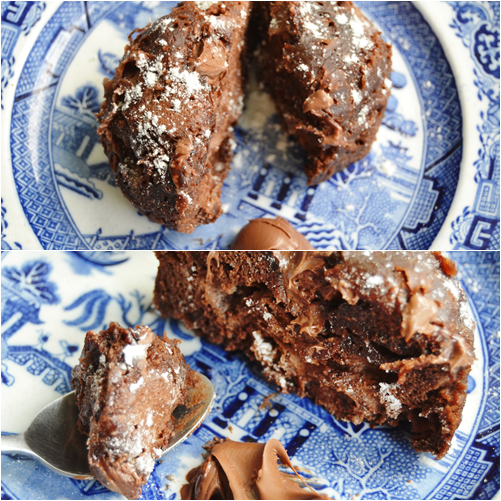 A perfect treat for lazy cold evenings or chocolate emergencies! Let me know what you think if you make the recipe, either in the comments below or tweeting me @makeup_savvy.